Presidential Pet Several Dogs, Raccoons, Donkey, Canaries, Goose, Bobcat, Lion Cubs, Pygmy Hippopotamus, Wallaby, Black Bear, etc. 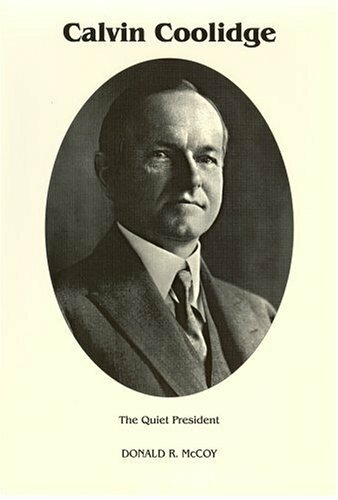 When Ronald Reagan moved into the White House, he ordered Calvin Coolidge’s portrait to be moved next to Lincoln’s and Jefferson’s in a place of high honor. 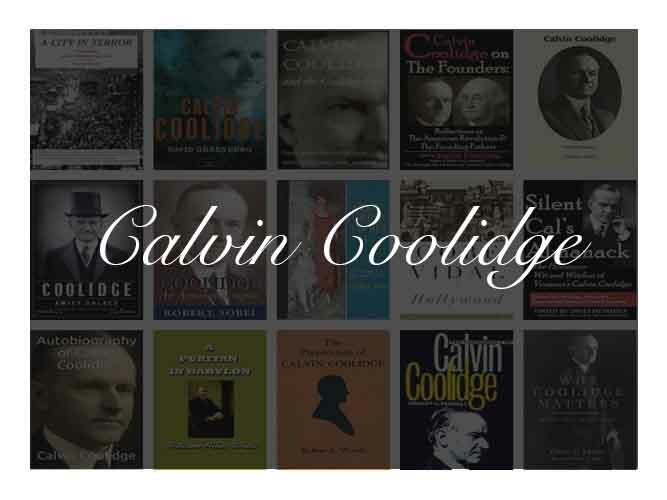 Most Americans today have forgotten Coolidge’s legacy; but Reagan knew well that Coolidge’s programs in the 1920s presaged the conservative movement toward smaller government and reduced taxes. 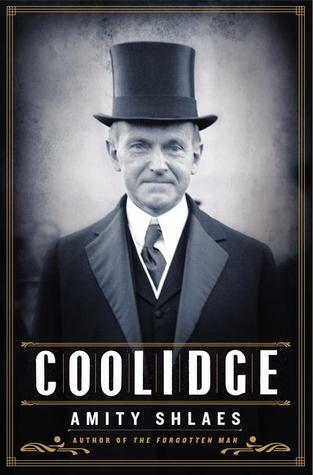 Historian Robert Sobel looks at Coolidge’s impressive record as president—his four tax cuts, his yearly budget surplus, his success shrinking the debt—in this expansive biography of a forgotten American icon. 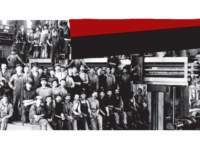 Amity Shlaes, author of The Forgotten Man, delivers a brilliant and provocative reexamination of America’s thirtieth president, Calvin Coolidge, and the decade of unparalleled growth that the nation enjoyed under his leadership. 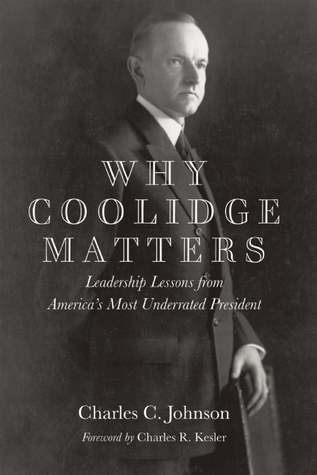 In this riveting biography, Shlaes traces Coolidge’s improbable rise from a tiny town in New England to a youth so unpopular he was shut out of college fraternities at Amherst College up through Massachusetts politics. 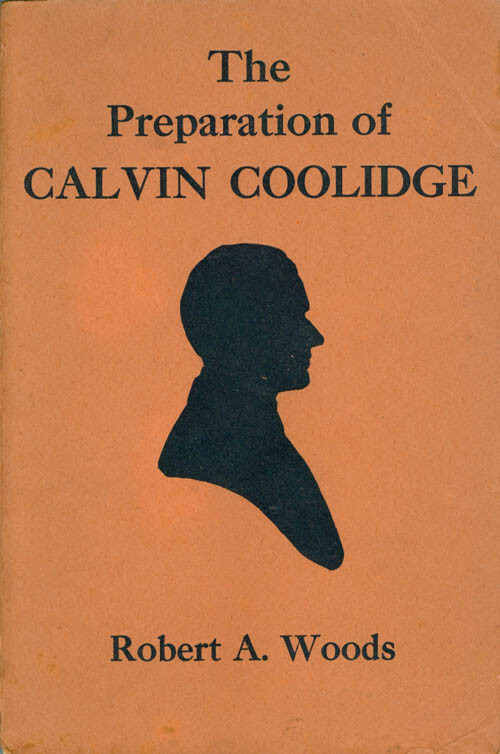 After a divisive period of government excess and corruption, Coolidge restored national trust in Washington and achieved what few other peacetime presidents have: He left office with a federal budget smaller than the one he inherited. A man of calm discipline, he lived by example, renting half of a two-family house for his entire political career rather than compromise his political work by taking on debt. 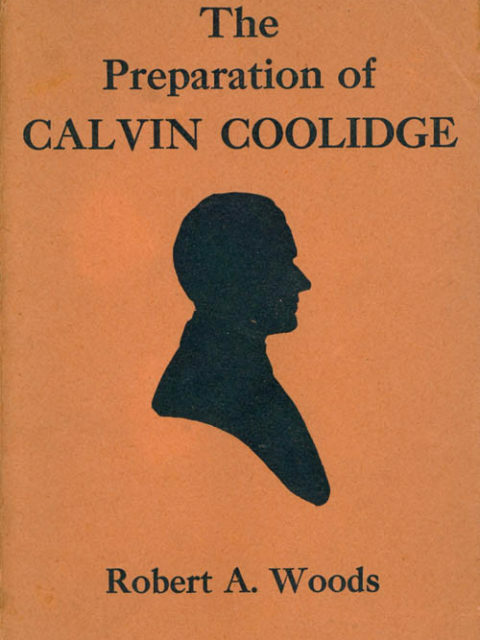 Renowned as a throwback, Coolidge was in fact strikingly modern—an advocate of women’s suffrage and a radio pioneer. 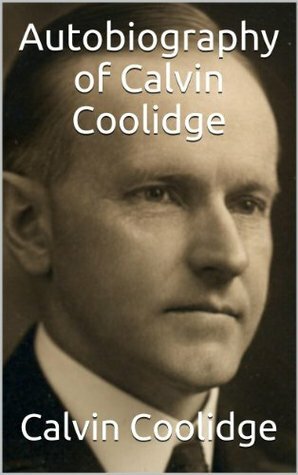 At once a revision of man and economics, Coolidge gestures to the country we once were and reminds us of qualities we had forgotten and can use today. 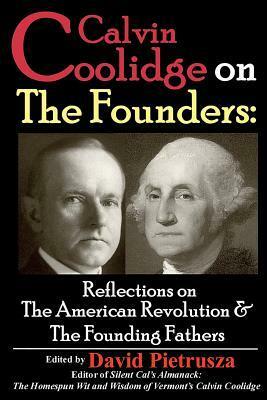 “Honest, shrewd, sentimental, resolute, American primitive,” this is how the author characterizes President Coolidge. 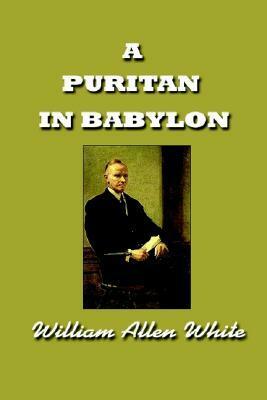 The storry of the Coolidge period, a stirring drama, hangs on the undramatis and slight figure of the man who dominated the era, and by his qualities rather than by his words or deeds gave it substance and direction. 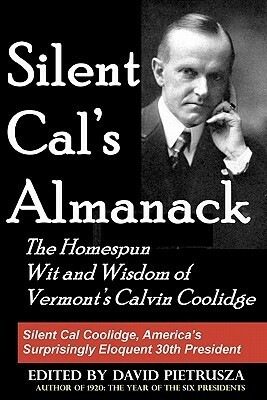 He was known as “Silent Cal.” Buttoned up and tight-lipped, Calvin Coolidge seemed out of place as the leader of a nation plunging headlong into the modern era. His six years in office were a time of flappers, speakeasies, and a stock market boom, but his focus was on cutting taxes, balancing the federal budget, and promoting corporate productivity. 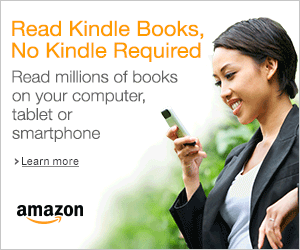 “The chief business of the American people is business,” he famously said. Robert Ferrell, one of America’s most distinguished historians, offers the first book-length account of the Coolidge presidency in thirty years, drawing on the recently opened papers of White House physician Joel T. Boone to provide a more personal appraisal of the thirtieth president than has previously been possible. 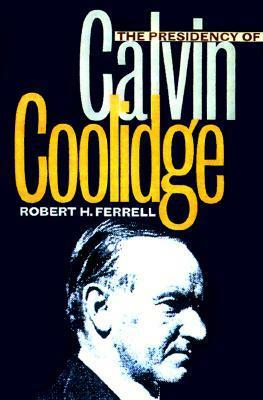 Ferrell shows Coolidge to have been a hard-working, sensitive individual who was a canny politician and a clever judge of people. 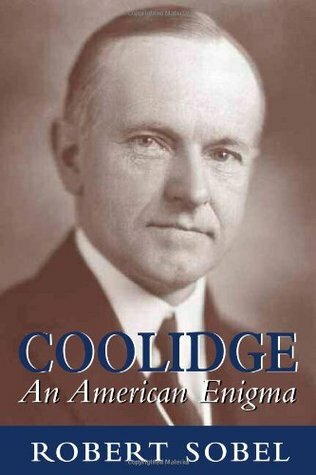 He reveals how after being dubbed the “odd little man from Vermont” by the press, Coolidge cultivated that image in order to win the 1924 election. 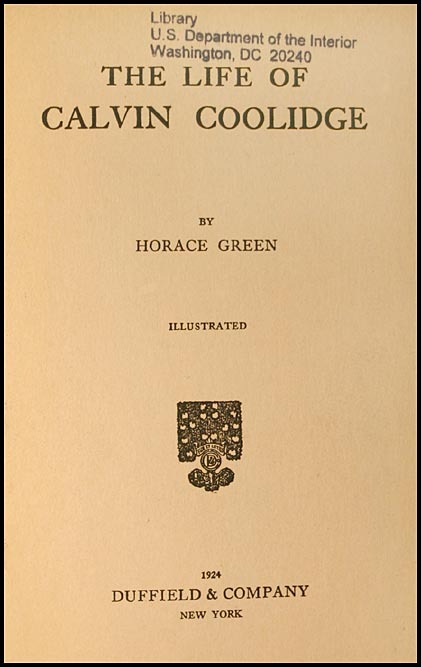 Alas, Coolidge’s long-suffering wife often had to serve as a safety valve for his temper. 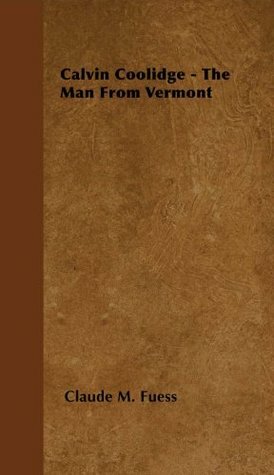 These twelve essays, originally presented to a 1995 Library of Congress symposium, seek to reassess the history of the 1920s in accordance with the latest research. 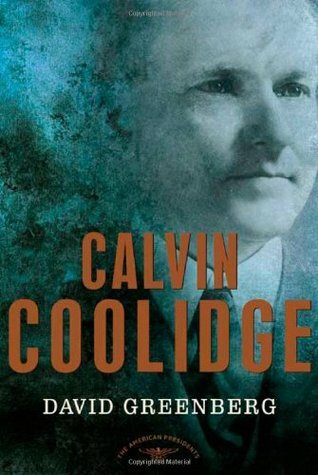 This is a biography of Mrs. Calvin Coolidge. 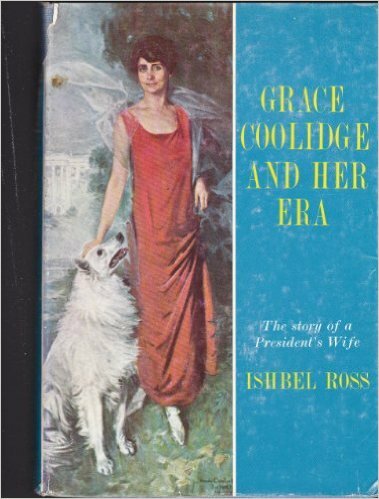 The author interviewed scores of people who had known or crossed paths with Mrs. Coolidge in her lifetime. 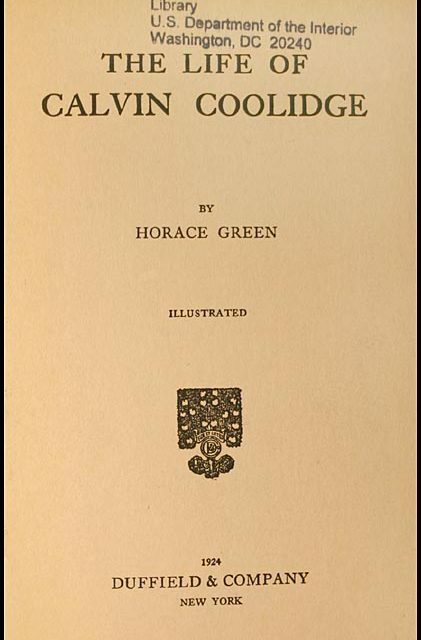 John Coolidge, only surviving son of President and Mrs. Coolidge and his wife, Florence Trumbull Coolidge, cooperated both at their house in Farmington, Connectieut, and at their summer place in Plymouth, Vermont, where Calvin Coolidge was born. 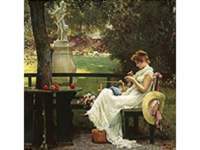 They allowed letters and pictures, in addition to sharing with the author many personal recollections of Mrs. Coolidge. 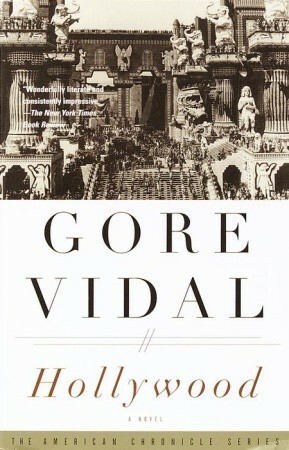 In his brilliant and dazzling new novel, Gore Vidal sweeps us into one of the most fascinating periods of American political and social change. 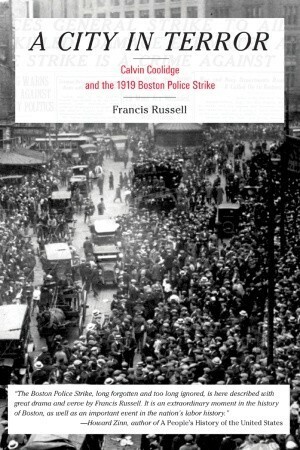 The time is 1917. In Washington, President Wilson is about to lead the United States into the Great War. In California, a new industry is born that will transform America: moving pictures. 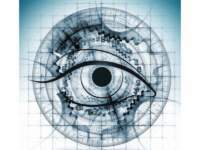 Here is history as only Gore Vidal can re-create it: brimming with intrigue and scandal, peopled by the greats of the silver screen and American politics, from Charlie Chaplin and Douglas Fairbanks to Franklin D. Roosevelt and the author’s own grandfather, the blind Senator Gore. 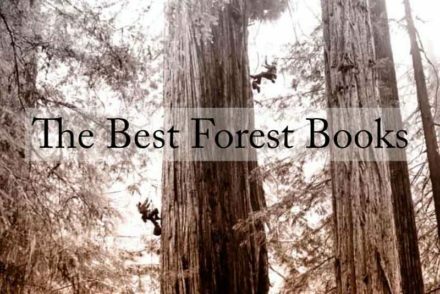 With Hollywood, Vidal once again proves himself a superb storyteller and a perceptive chronicler of human nature’s endless deceptions. 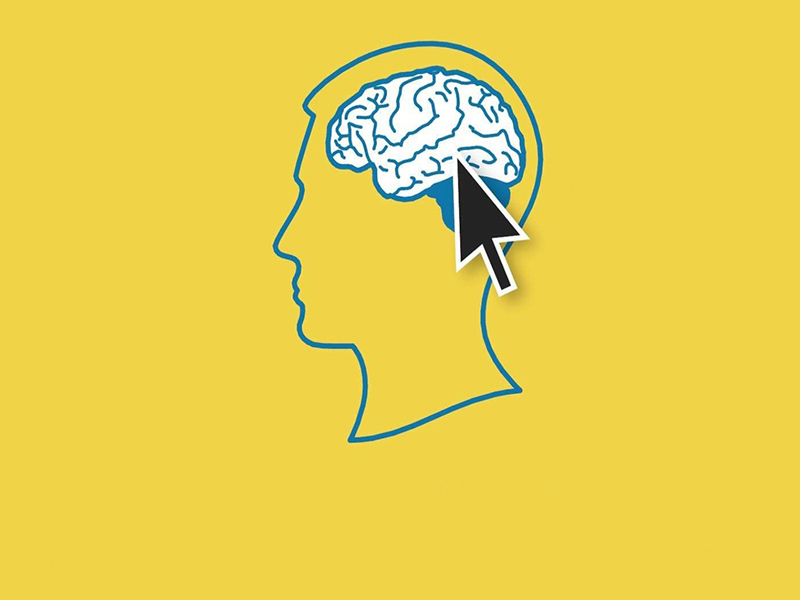 Imagine a country in which strikes by public-sector unions occupied the public square; where foreign policy wandered aimlessly as America disentangled itself from wars abroad and a potential civil war on its southern border; where racial and ethnic groups jostled for political influence; where a war on illicit substances led to violence in its cities; where technology was dramatically changing how mankind communicated and moved about—and where the educated harbored increasing contempt for the philosophic underpinnings of our republic.